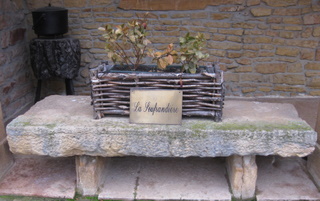 The wine growers of Burgundy’s Mâconnais region have understood the Avis principle. To the north is the Côte de Beaune, the rich, glamorous neighbour producing some of the mightiest, priciest white wines in the world. To the south lies Beaujolais, the land of cheerful, quaffable reds. How to differentiate themselves in the middle? It’s obvious. They have to try harder. A fresh generation of wine growers is busy doing just that. There’s still a huge cooperative presence here, but the story is increasingly one of independent, small-scale, highly motivated vignerons dedicated to making distinctive white wines (plus tiny quantities of red) at seductive prices. Barely 50 kilometres from top to bottom and some 15 kilometres wide, the Mâconnais’ compact size makes it the ideal candidate for a weekend or short break. Alternatively, if you already have the Côte de Beaune and the Côte Chalonnaise under your belt (and some room left in the boot/trunk), it will add a satisfying coda to a longer trip. The climate at this southerly outpost of Burgundy is a shade warmer, the architecture leans towards the Mediterranean, flattened roofs with rounded Provençal roof tiles replace the steep slate or glazed tile coverings of further north. The pale limestone of the villages of the Côte d’Or takes on warmer, pinkish-gold tones. Pavement cafés pop up in summer along the Saône river that marks the region’s border with Bresse. Life is lived more outside, people are a little less stiff, wine growers are more willing to open up their cellars to passing visitors. Starting in the north, Tournus on banks of the River Saône is the first town of any size. Its cobbled streets are thronged in summer with visitors to the magnificent Romanesque abbey, basket-wielding shoppers at the Saturday morning farmers’ market, leisurely browsers in the many antique shops – and hungry people heading for the town’s many notable eateries. From here the Route des Vins du Mâconnais wanders gently along a series of broad valleys flanked by rolling, vine-clad, limestone hills, through villages with suitably vinous names like Chardonnay and La Roche Vineuse, past perfect gems of Romanesque church architecture. Mâcon, with its traffic-free vieille ville and St Laurent bridge straddling the Saône, celebrates its most famous son, the French Romantic poet Lamartine whose works are elegantly housed in the Hôtel Senecé. To the south the craggy outcrops of Solutré and Vergisson, at whose feet the celebrated Pouilly-Fuissé is grown, signal an end to the fleeting delights of the Mâconnais*. To help as you plan a wine-buying visit or travel around and leaf through wine lists, here’s a quick ‘n dirty guide to the different quality levels and appellations on offer in the Maconnais. 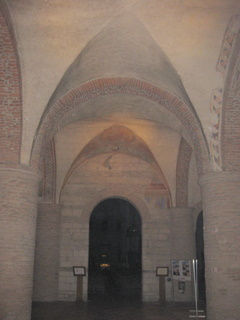 The two that open the door to the region are, first, straight Mâcon, some of it white but the majority Gamay-based red or rosé. And second, generic Mâcon-Villages, all white (Chardonnay. only). Neither of these should be scorned, particularly from top domaines; both offer lip-smacking Burgundy quality and solid value for money (Cave Talmard in Uchizy and Jacques and Nathalie Saumaize in Vergisson are exemplary). 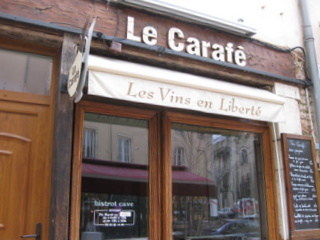 You’ll find such wines offered by the glass in bistros like the excellent Le Carafé in Mâcon, or as the House (or Club) Burgundy in Anglo-Saxon countries. 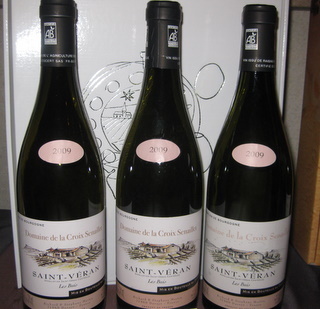 Next come the wines that are permitted to tack their village name onto the label – think Mâcon-Chardonnay (referring not to the variety but the village), Mâcon-Lugny or Mâcon-Chaintré. Finally there are the region’s five AOCs: the famous Pouilly-Fuissé and its lesser-known siblings Pouilly-Vinzelles and Pouilly-Loché, plus Saint-Véran and Viré-Clessé.To date there are no premiers crus in the Maconnais, but an application is in hand (filed in 2006) for the three Pouilly satellites and Saint-Véran. Lively, long-lived wines from multiple micro-cuvées of Mâcon-Villages, diverse Pouillys, St Vérans and Viré-Clessés. La Soufrandière wines come from the Bret family vineyards, retrieved from the local co-op in 1998, now organic and biodynamic; Bret Brothers wines are from grapes grown locally under contract. Daniel and Martine Barraud and son Julien produce crisp, elegant, lightly oaked Pouilly Fuissé and St Véran from a patchwork of small parcels around Vergisson. 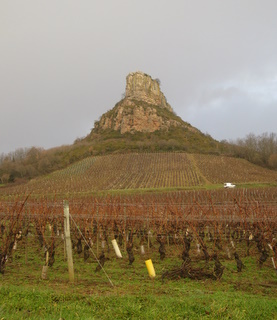 Particular pleasures include St Véran En Crèches and Pouilly Fuissé En Buland, from 78 year-old vines growing beneath the landmark rock of Solutré. Brothers Stéphane and Richard Martin took over the family domaine in 1990 (25ha, exclusively white), converting to organics in 2006. Crisp Mâcon Davayé with instant citrus charm, sold under the Prince of Wales’s Highgrove label, and discreetly oaked Pouilly-Fuissé and St Véran with impressive spice and sinew. A range of fine whites and spirited reds from founder-members of Les Artisans Vignerons de Bourgogne du Sud from vineyards throughout the Mâconnais. 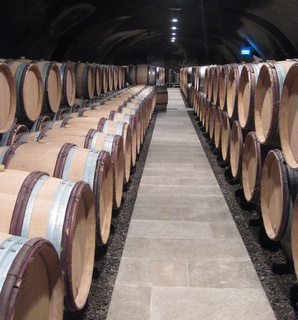 Cellar tastings amidst serried ranks of slumbering barriques, ranging from a quaffable Mâcon La Roche Vineuse to a powerful Pouilly-Fuissé Clos des Quarts. Jean-Pierre made wine for over 30 years before breaking away from the family domaine in 2004 to go it alone here with 8.5ha planted exclusively to Chardonnay. Warm welcome, infectious enthusiasm, plump, keenly priced Mâcon-Villages and lively Viré Clessé, some oaked, some not. Pauget abandoned motorcycle maintenance in 1991, studied wine making at the Davayé Lycée Viticole and set up here in 1992 in the hills above Ozenay with 6.5ha of vines, all worked organically. Standouts are his funky Mâcon Rouge and plump Mâcon Blanc, grown across the River Saône in the tiny vineyard enclave of Préty. One of the nicest places to stay in the Maconnais: a sleekly revamped, spanking red, 12-room hotel above Martailly-les-Brancion offering guaranteed peace and quiet in the heart of the vineyards and a warm welcome from Jacques and Nathalie Million. Spectacular dining room with wraparound vineyard views serving Mediterranean-inspired food. Member of Châteaux & Hôtels Collection. Six superb apartment-suites in beautifully restored 16th-century château plus 14 ultra-modern, purpose-built duplex rooms, surrounded by the hotel’s own vineyards (wine made by Thévenet). 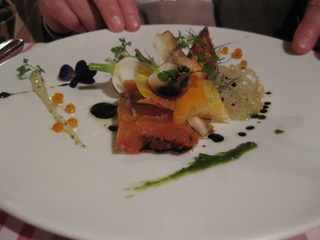 Gourmet restaurant with stylish food, and wine bar for tastings. 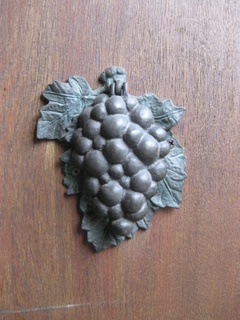 Member of Châteaux & Hôtels Collection. Sanded stone floors, oak beams, natural colours, bright fabrics and designer bathrooms in this stylish B&B, owned and run by wine growers. Gorgeous dining room for leisurely breakfasts, tastings or tables d’hôtes (on request). Culinary creativity in spades, concise, well constructed wine list and eye-rubbing value for money in this small restaurant run by chef-and-wife team, a favourite with local wine growers. 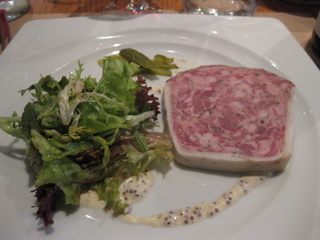 The kind of small, sympathetic country auberge you thought France had given up on long ago: cheerful welcome, local/seasonal specialities, terrific terrine maison, good wines by the glass. Old-school, warmly welcoming restaurant offering honest local cooking (epic jambon persillé) in deliciously dog-eared décor with deft advice on top Mâconnais wines. 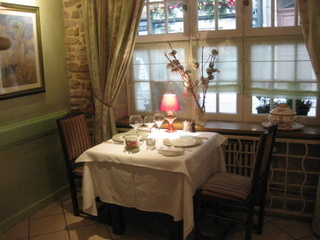 Cosy-chic restaurant close to Mâcon’s St Pierre church, with stellar food (€34 menu a snip for the quality offered) and wine list studded with gems. 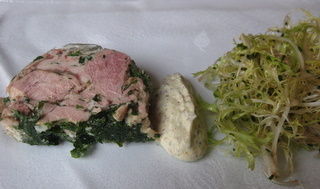 Pocket handkerchief-sized wine bar/bistro (14 places only, booking essential, 06 85 85 14 58) in Mâcon centre, focus on ‘natural’ wines and typical Burgundian dishes.